The most beautiful and tasty turkey dish made in our special shelter kitchen! Crispy onions and mushrooms, homemade wine sauce and some olives will make your day better, especially while autumn! WARNING: The video contains a lot of ASMR and foodporn in 4K! 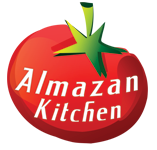 Do not forget to follow our channel & blog for new recipes! Slice 1 big onion and 3 big garlic cloves (unpeel first). Slice 500g of turkey breasts into medium parts. Salt & pepper it! Preheat the pan, grease with grapeseed oil. Cook the turkey parts until ready then remove it from the pan. Toss the onions and garlic into the pan. Fry until crispy golden brown texture. Add 1 cup of homemade wine. Stir well. Cook until saucy consistency. Toss handful of poplar mushrooms into the pan. Stir & cook. Add handful of olives. Cook and do not forget to stir sometimes. Put the turkey back. Slow cook the dish for a few minutes. Stir well to let turkey soak in sauce. Serve and finish off the dish with handful of chopped fresh English parsley!